The hearing on July 15, lasted nearly four hours and, while it may not have produced fireworks, it provided an excellent preview of what we will see at trial in May, 2011. The hearing ended with all issues resolved and the issues which would have been covered in a status hearing July 20 were all discussed. Right now, one less hearing is a good thing! 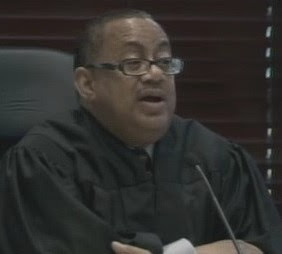 As the hearing opened, Judge Belvin Perry announced that the TES issue would be heard first. He stated that he had read all the motions and responses and was prepared to have Mr. Baez speak to the issue for five minutes to and then Mr. NeJame would have five minutes. It was obvious that the judge had just cut off what could be an extremely contentious and time-consuming confrontation at the pass! With this statement Jose Baez requested a sidebar with NeJame and the State. It was lengthy discussion. When all parties returned to their places, Judge Perry stated that Mr. Baez was going to withdraw his motion and Mr. NeJame will file a motion dealing with bad faith. As for the judge himself, Perry stated that he would be entering an order that the defense could inspect the documents again and take notes. He said he would also appoint a special magistrate to supervise the process. He will also tab any documents to be copied and brought to the judge for consideration. Mr. NeJame will be filing his bad faith motion by Thursday of next week. For now, we will have to wait for the judge's orders to know if there are any specific details as to what sort of notes the defense can take. As for Mr. NeJame's motion, I am sure we will all be waiting to see what comes of it. As with any negotiated deal, it is probable that neither side is totally happy, but can live with the results. The Anthony family attorney, Brad Conway had stated in earlier interviews that Cindy Anthony would tell the truth, and she did, when it came to the 911 calls she made. Cindy Anthony was called to the stand by Jose Baez. At that point, Lee Anthony was asked to leave the courtroom for the time his mother was on the stand. (My friend, Sedonia Sunset said, Jeez, Lee couldn't even be bothered to put on a decent shirt! Another witness for the defense, Deborah Polisano, had yet to arrive at the courthouse. Once Lee left the courtroom, Baez led Cindy Anthony through the events of July 15, 2008. He began with the retrieval of the car from the Johnson Wrecker Service yard and ended with the making the third 911 call. He asked may questions to try and have Cindy tell him the precise time when her husband told her that the car smelled like a dead body. The best Cindy could do was say it was prior to 3 PM that day. Baez made it a point to have Cindy indicate that, after putting the smelly pants in the laundry she had gone back to work. George, just starting a new job, had left earlier. When Baez asked Cindy if she mentioned the odor in the car to any of her co-workers, she couldn't remember exactly what she had said. Cindy also stated at this point that she didn't think there was any special reason to not go back to work! When Baez questioned her about the call she made to Amy Huizenga, Baez asked if she mentioned the smell in the car and Cindy said she couldn't remember. When asked if she had any discussion with Amy in the car on the way to pick up Amy, she said that she didn't quite remember the nature of the discussion. When it comes trial time, I'm sure Amy will fill in those blanks and many more. Cindy told her many things, most not positive for Casey. (AMY HUIZENGA INTERVIEW) Cindy also made a point of pointing out how easily Amy found Tony's apartment and that she only allowed Casey to take her shoes with her. She also claimed she never stepped into the apartment. Well, that will be dealt with at trial time. From that point in her testimony, Cindy went on to give a detailed account of her time with Casey up until the third 911 call. Cindy stated that she paced back and forth from the house to the street, smelling the car each time. She made the infamous third 911 call. It is the first time the police learn that Caylee is truly "missing". CA: (Crying.) I called a little bit ago. The Deputy Sheriff’s not here. I found out my granddaughter has been taken. She has been missing for a month. Her, her mother finally admitted that she’s been missing. There’s something wrong. I found my daughter’s car today and it smells like there’s been a dead body in the damn car. Cindy answered in the affirmative and then testified that didn't know why she made the statement. When asked if her statement on Good Morning America was true, she answered that it was "essentially" true, that the call wasn't premeditated. He told me that that was his first thought. Again, we will have to wait for George to take the stand at trial to explain why he told LE in various interviews and his deposition, that he knew what the smell was and that it was that of decomposition. As the direct examination came to an end, the discussion of familiarity with the smell of decomposition. Cindy stated that she had never smelled human decomposition in the trunk of a car. Baez then led her through the facts of her experience with decomposition odor in the morgue during her nursing rotation there. She also mentioned she had smelled "rotting flesh" in the hospital. Hello! I've only smelled the odor second-hand. Someone I knew was cleaning possessions out of the home of someone who had died two months before being found. She would come home at night reeking of that most unique odor. It was in her clothing and her hair. She barely noticed it because she had been in an environment reeking of that pungent odor all day. There's a good reason rooms in funeral homes are under-heated and the scent of flowers is overpowering. Even with that, there is the undertone of that very same odor. Slight odor in the morgue, but the same odor as in the trunk of the car. Bill Sheaffer gave an interview for WFTV. In it, he had a wonderful description of the differing approaches. According to him, Baez used a saber and Linda Drane Burdick used a scalpel with finesse. He believed that Jose did a "good job" but Linda Drane Burdick did an "excellent job". Drane Burdick asked Cindy a series of short-answer questions. 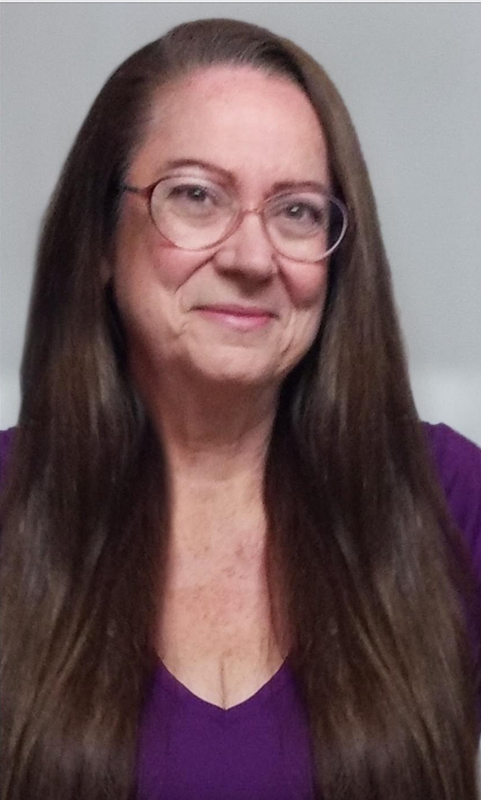 She elicited from Cindy that at the time that she retrieved the car, she had not seen her daughter, granddaughter for 32 days, counting back to the 15th of June. On July 15, it was Cindy's impression that Casey and Caylee were together. Cindy agreed that prior to going to the tow yard, she had called Casey to tell her she found her car. When she had spoken with Casey, she had not yet smelled the car. Cindy agreed that George had told her that he had told the tow truck operator he hoped it wasn't daughter or granddaughter in the trunk much later, although she cannot remember when. The questioning then went to what happened when she got home. Cindy stated that she only spent five minutes in the garage with the car after George went back to work. Drane Burdick then reminded Cindy of her testimony about her experience with dead bodies at the end of Baez' questioning. Cindy agreed that when she made the third 911 call, the words she used to describe the smell was a "dead body". There was then an extensive series of questions concerning her experience with the odor of dead bodies. Cindy then stated that it was only in the morgue. Drane Burdick reminded Cindy of discussions that she had had with LE at various times and had told them that she was acquainted with that odor, including from rotting flesh caused by an infection (pseudomonas). Cindy had told LE that it had taken days for the odor to clear from the air vents. In the end, Cindy admits it had a unique smell. Fortunately, the Assistant State's Attorney has all the pertinent documents at the ready to refresh Mrs. Anthony's memory. I had been to busy typing to notice this, but Sedonia Sunset mentioned that. "Jose is really working his jaw over LDB having Cindy refresh her memory as to what she said in a deposition." Kitty Malone thought that "Cheney and Baez look very, VERY, perturbed!" Sprocket said, "Look at Baez tapping his fingers nervously!" There is an interesting back and forth next. Drane Burdick asked Cindy if she had said in her deposition last year that George did not tell her until later that it was his opinion that the trunk smelled like a dead body. Cindy waffled over the context, saying that she knew it wasn't immediately (at the tow yard). Drane Burdick showed Cindy a copy of the 2009 deposition to refresh her memory. Apparently, Cindy had used the word "pungent". She had also been asked if George had told her his opinion of the odor when they were first in the garage, and Cindy answered, "no". Drane Burdick then gently led Cindy through the time line of the events and the odor in the car. When Cindy first smelled the odor in the tow yard, she did not know that Casey wasn't with Caylee. In addition, since they had not discussed the odor of the car prior to George's leaving for work, she had not heard his opinion until AFTER she had made the third 911 call as she had had no contact with George after he left for work! BINGO!, that's the scalpel there. It's pure logic. If she and George didn't discuss the nature of the odor, Cindy would have had to make that connection herself! During this, and other portions of her mother's testimony, Casey was write furiously and passing notes to her attorneys. Never once did she acknowledge her mother with even the smallest of smiles. Drane Burdick then outlined the time from the the call to Amy Huizenga until the first 911 call. When she found Casey at Tony Lazzaro's apartment, Caylee wasn't with her and Casey explained she was with the nanny, Zanny. At that point, Cindy still did not know what had happened until the third 911 call. Therefore, until then, there was no reason for Cindy to connect the odor in the car with Caylee. She then asked if Casey had been "stonewalling" her and that she then decided to get the police involved to help her get Casey to take her to her daughter. Casey heard the first call and could hear what she was saying. The first call was made at 8:09 PM. When asked if she had stated she had a "grand theft" sitting with her in the car, Cindy said that she had asked Casey to bring the car home two weeks prior. (I don't think I've ever read that.) Cindy claimed that that was where she "pulled that reference from". She did say that the theft of money was true. Due to jurisdictional issues, Cindy decided it would be "stupid" to wait on the side of the road. Drane Burdick asked it would have been more comfortable to wait at home in a non-emergency situation and Cindy agreed. Drane Burdick then went on to the second call. It had been delayed by the arrival of Lee. Cindy gave him time to try and get information out of his sister. When Lee was not able to get Casey to tell the truth, she decided to make another call. Cindy did not remember exactly where she was in the house w hen she made that call. Cindy then agreed when Drane Burdick said that she had no idea that Caylee was somewhere where Casey couldn't get to her. The only emergency at the time was a dispute with her daughter. Cindy said "a possible missing child". Cindy did not mean missing as in taken or kidnapped, it meant not at the home. Cindy agreed that this was not an emergency, that she needed law enforcement at the house to help find where Caylee was. This second call was made at 8:44 PM, 45 minutes after the original call. Cindy then testified about the last call, which took place at 9:41 PM. She said that she overheard Casey tell Lee that she hadn't seen Caylee in 31 days. Drane Burdick indicated that it came as a shock to her. Cindy agreed and added that, "she was crying". (Cindy seemed to go for some sympathy for her daughter here.) She also got Cindy to agree that she was panicked, couldn't think, and didn't know what to do. She realized that nobody could get Caylee for her that night. Kitty Malone said, "I just had a brief moment of sympathy for Cindy. Jeez. Linda is getting to the nitty-gritty and it appears that Cindy is about to break down." Drane Burdick added that Cindy was angry or frustrated because law enforcement was taking their time to get to the house, at that point she was devastated, that the only people who could now help were the police. Cindy again agreed with her. The problem now was not just a family emergency, but a true emergency. During this time, the defense is passing notes and conferring, this is not following their agenda. Cindy agreed that she was angry with her daughter and was yelling, trying to get answers from Casey in a "machine-gun" approach asking her questions over and over. Cindy says, however that she doesn't remember what she said, that she was just "upset". Drane Burdick replaced "upset" with "panicked" and Cindy agreed. 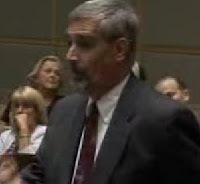 Drane Burdick again asked Cindy if the problem wasn't that the police hadn't arrived yet, but that she needed them now! Cindy buffered this by pointing out that it had seemed like over an hour since she had last called. Cindy admitted it was shocking news, her gut instinct. Casey is writing furiously again. Drane Burdick passed out copies of the third call and asked that it be added into evidence for the purpose of the hearing. Although she didn't remember where she made the call from, she did remember handing the phone to Casey in her room. The next line of questioning went to the connection Cindy may have made between the smell in the car and Caylee. Cindy made an unusual statement about this... "if that's where my mind went to, yes..." She further said that she didn't understand how the mind worked when "you're" under stress. She said she couldn't analyze it. She added, "I said whatever I said". She hints here at an UNCONSCIOUS CONNECTION made by her mind without her realizing it. Miss Kitty, "Holy Cow! Casey's eyes are DARTING all over the place during this line of questioning (the smell of the car and Cindy connecting it to Caylee being missing)." Casey is again writing fast and furious, double underlining certain words. After completing her questioning, there was a ten minute recess. When everyone returned to the courtroom, Baez began his questioning by stating that there were a "couple of things to clear up, there is a little bit of confusion". First, Baez asked Cindy about the conversations she had with co-workers. He asked if during the conversation she had told co-workers that George told her it smelled like a dead body. Cindy stated that she couldn't remember when George told her that. Baez then went on to ask her if when she said "later", it wasn't after July 15. Cindy answered, "no". Next, he tried to soften her testimony on cross concerning her experience with the smell of decomposition. He asked her if, after smelling the car, she still believed Caylee was alive. Baez pointed out that at that time, she made statements to that effect. He also asked her if she believed that law enforcement believed Caylee was dead. He then asked her if she meant that, by telling them that she knew the smell of death, the smell in the car was different. Cindy answered with a firm, "yes, I guess". Compare that weak statement with, "I found my daughter’s car today and it smells like there’s been a dead body in the damn car." Which sounds stronger to you? I, I, I, still think Caylee is alive! Baez next gets Cindy to say that she never lied to or tried to mislead law enforcement (she added the qualifier, "if I remember..."). He then asks if when she told them that this smell was different to that of her experience, she was being truthful. The next portion of Cindy's testimony had her now backing off the identity of the smell. She indicated that since then, she had smelled other things in the car that smelled similarly. Baez then reminded her of her July 29, 2009 deposition with Ms. Drane Burdick and reminded her of the statement that she had made there that she had made the infamous statement to get the police to her house faster. Baez then showed her a transcript. Cindy agreed that she had been maintaining that all along. The interesting thing here is that both what she said to Linda Drane Burdick and Jose Baez were both true. She said those lines to get the police out there, but, according to what she said earlier, she could have subconsciously made the connection. Baez then reminded Cindy of the items that belonged to Caylee that were in the car. He asked if those items of hers being there and Caylee NOT being there was what she meant when she made the call. Cindy said that it was "more so related to the items in the car". Ok, then why didn't she tell the 911 dispatcher that the child's belonging were in the car and the child wasn't there? Why mention the odor and not the belongings? I have editorialized quite a bit here. After following the case since July 16, 2008 and reading so many interviews, I do have some strong opinions! One element of Cindy's testimony which gave me a very hard time was the fact that she almost always agreed with both the defense and the prosecution, making it difficult to figure out what was going on. My friends all agreed with me on that. At that point, Baez completed his cross examination and she left the stand. As Deborah Polisano had not arrived, the State put Lee Anthony on the stand. Lee Anthony came to the stand and, as Linda Drane Burdick was asking him his name, he mouthed "I love you" to Casey who seemed to cry at the attention from her brother. 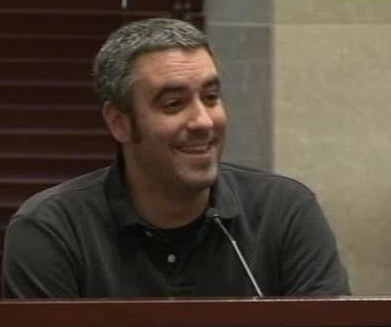 As he testified, Lee's demeanor was the same as we have seen in his Morgan&Morgan deposition. He has a tendency to ramble on and laugh at times, perhaps out of nervousness. Lee testified that he had been asked to go to the house by his father. He met Casey and Cindy in driveway. He said "hi" to Casey and she cried. He said that at that time, he did not smell the car. He was at the house with Cindy and Casey for about two hours before law enforcement arrived. Cindy and Casey were arguing about Caylee's location. Cindy was frustrated and asked him to talk to his sister, although she did not tell him what the problem was. He tried to reason with his mother and take her to Caylee. He was only aware of the two phone calls at the house at that time. He was not in the room with Casey the entire time. He said he was in the living room when Cindy came out and said she was going to call the police. He said that Cindy went either to the garage or her bedroom and he did not hear the initial call from the home. Casey was still in her room sitting on her bed. He then went back to Casey's room at that point to say that nothing she was saying wasn't making sense. He engaged in role-playing with Casey as to what she would tell the police when they came to the house. Lee told her if she didn't tell mother where Caylee was, she would have to tell the police. It was during this role-playing that Casey broke down and told him she hadn't seen Caylee in 31 days. Lee said he was "dumbfounded" at the revelation. He said that Cindy then came into the room and said, "What's going on?" and Casey said she hadn't seen Caylee in 31 days. His mother's reaction was "a little different". She got very angry, clenched her fist and hit the bed and said, "What did you do? We could have found her 31 days ago". Lee testified that he didn't hear the last 911 call Cindy made until months later. Drane Burdick then referred to Lee's deposition on July 30, 2009, p. 126, line 23. She quotes Lee as having said that Cindy was in the living room and he heard the call in the background. He indicated he heard it and Casey also could have and that Cindy was very, very frantic. With this information, Drane Burdick completed her examination. Cheney Mason then got up and conducted a somewhat bizarre cross examination. He first asked Lee about what George said to him about the situation in the home when he called. Lee responded that George only told him that his mother needed him. Then, Mason asked if it was obvious that his parents had been talking. Lee replied that George had merely told him it was a "long story, but your mom needs you". He then made mention of had his parents been talking when he got to the house. Lee pointed out that there was nobody home when he arrived. I got a bit confused here. Did Mason think both Cindy and George were in the home when Lee arrived? He then asked if there was any "screaming or running around" when he arrived. Lee again replied that no one was at the house when he arrived. Mason then asked how long he was there before he heard the first mention of calling the police? Lee responded that it was about an hour. Mason then asked "Who talked about calling the police first?". Lee said it was his mom and that she was the only one focused on that. When asked. The next question was quite complicated and Lee couldn't answer. Mason apparently wanted Lee to say what combination of people had discussed calling the police. Lee then said he went to Casey's room to discuss what she would say should the police come. Lee then went back over the discovery that Caylee was missing and how, once Casey said he was missing, he became sort of a bystander. They then went through the progression of the 911 calls and again, it was a bit confusing. For some reason I don't think Mr. Mason had a complete scenario of the events of the evening clear in his head. I couldn't quite figure out what call was being referred to and became even more confused when Mason discussed if Lee had talked to George about them. Lee again pointed out that George wasn't in the home when the calls were made. Mason elicits that during his time at the house, he had time for private conversation with his sister. The only "interruption" they had was during the 911 call, which he and his sister did not focus on. And that was it! Linda Drane Burdick asked no further questions. The final witness of the hearing was Deborah Polisano, Cindy Anthony's supervisor at Gentiva. In answering Cheney Mason's questions, Polisano testified that when Cindy got the phone call from her husband, she was in her office, she told Cindy she needed to go home and pick up the car. Cindy came back to work in an hour or so and they had a conversation then. Cindy had told her about the car being in the impound lot and that she couldn't get a hold of Casey. She indicated that Caylee's car seat, backpack, and doll were in the car. She also said there was a terrible odor in the car. 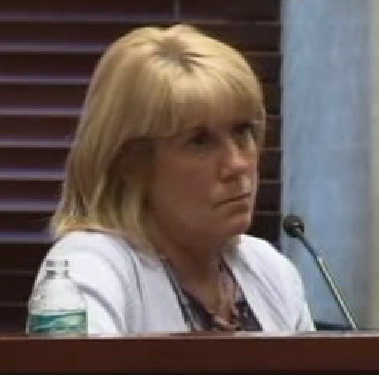 When Polisano asked if they had opened the trunk, Cindy didn't answer, but said it smelled like a dead body in the car. Cindy also indicated that she and George were both aware of the odor, but stressed that they both knew that. Polisano told her to go home because she was so upset. Polisano did not remember what time Cindy left the office. Mason tried to get her to pinpoint the time, but she couldn't remember. She also told Cindy she should call the police. After a brief pause, Mason asked if she had had to "exercise persuasion" to get Cindy to go home. Polisano then asked him to rephrase the question and he came back with the same question. She said she had to get her supervisor to tell her to go home. Linda Drane Burdick asked no questions. Each side made their closing arguments. Mason spoke for the defense. They essentially reiterated the information in their motions and responses. Mason did mention Hutcheson that the tapes were heresay and tapes can't be cross examined. He wanted sections redacted, including the theft and Casey's comments. He also made some very gross references which made me ill.
Linda Drane Burdick brought up the fact that Hutcheson had been overturned. Cindy Anthony will be able to testify at the trial. She also made a strong argument for Cindy Anthony's status as a person who knew the odor of a dead body. At this point, Judge Perry had another ten minute break and then came back with his decision. Siting extensive case law, Perry allowed all the tapes in. Specifically the third call was admitted as an excited utterance. When the discussion of this motion began, Judge Perry brought up "work product" and, having no motion filed in opposition, he granted the motion. With the agenda of the hearing complete, the judge then asked if both parties would be willing to continue on and have the Status Hearing scheduled for July 20. They all agreed and continued on. The links to the live streams kept dropping left and right. It was hard to follow and I, already totally exhausted from the events, decided to wait for the video to e posted. I will be writing another article about that portion when I am rested and have had a chance to view the entire proceedings. Hang in there! Many thanks to my friend Muzikman who has provided a copy of Mark NeJame's Response To Defendant's Motion For Reconsideration Of Certain Prior Rulings By Disqualified Judge. Although the document is 15 pages long, it is well worth a read before the hearing tomorrow. 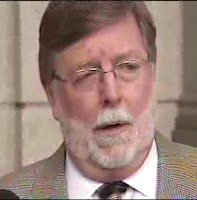 In his response, NeJame takes the time to explain to the Court the entire situation between Casey Anthony's attorneys and Texas Equusearch since July 16, 2009. He gives a recap of the arguments and rulings that took place. He cites Judge Stan Strickland's rulings in the situation. He also informs Judge Perry of the process that was used to choose and review the documents. For those of you who get confused with all the motions and what has occurred between all the parties involved, the response becomes an absolute must-read. On May 17, I posted an article about the Defendant’s Motion to Modify the Court’s Order on Defendant’s Application for Subpoena Duces Tecum for Documents in the Possession of Texas Equusearch. If you go to the Those Pesky TES Documents section, you can read what they said. To be fair, I will post a brief version of what NeJame wrote. 14. ...On April 23, 2010, Attorneys Cheney Mason and Jose Baez came to the undersigned counsel's office to review the files containing the searches of the approximately 4,000 searchers.... When they arrived Mr. Mason was arrogant, rude and disrespectful to the staff of undersigned and to the monitor. Mr. Mason threw $12 cash on the table at the monitor saying that this would be enough to cover the one hour they were going to be there. NeJame also explains that while there were 4 boxes of TES records, only two of them contained the pertinent files to be examined. The other two boxes contained material not related to the to the searched areas. He states that they were shown the boxes to demonstrate that TES was not holding anything back. There is also mention that the documents Baez and Mason flagged for review were for searches that occurred over 300 yards to 8 miles away. 19. ...The monitor was treated rudely and unprofessionally. When it comes to the Channel 6 new crew that showed up, both NeJame and the reporter for the station indicated that it was not somebody from NeJames firm who had called them. ...The reporter and his cameraman videotaped for approximately one minute, from across the lobby, when Mr. Mason burst out of the conference room causing a scene in front of the camera. It is the epitome of irony that almost contemporaneously when Mr. Mason and Mr. Baez review of the files concluded, the television camera appeared, allowing Mr. Mason's to cast aspersions on the media against undersigned counsel, which Mr. Mason has a history of doing. There is more in the motion, READ it and enjoy. Apparently, Mr. Mason's behavior with Kathi Belich witnessed by many was not an aberration . In addition to NeJame's response, Muzikman has also provided a copy of the Defense Supplemental Memo Regarding Admissibility of Contents from 911 Calls. As far as I can see, Cheney Mason is adding to his arguments as to why the defense wants the calls to not be allowed. Their motions and memos have yet do counter the reasons the State wants them in. At this point, we should expect to see the two sides arguing apples and oranges! Enjoy reading and see you at 2 PM EDT for what should be a real doozie of a hearing. The defense team filed an Objection to Release Of Documents Related To Intended Defense Review of the Evidence. A quick read-through told me that the author was Cheney Mason and that there was not a single legal reference to bolster his arguments. The motion will be heard at tomorrow's hearing. As for his arguments in favor of the motion, they deal entirely with the media. He attacks the media in oh, so many ways. He even manages to take a swipe at the "talking head" lawyers who have neither the experience, knowledge, or predicates for their public comments..."
I recommend a quick trip over to WFTV to read their article. I've also included their most excellent links. I know that I won't be alone on Thursday, July 15 at 2 PM. There will be many people who follow the Casey Anthony trial hearing watching to see what will happen. Judge Belvin Perry, Jr. will presiding over what may well be one of the most contentious hearings we have witnessed. The genesis of this hearing goes all the way back to the defense's May 6, 2010 Motion To Reconsider Strickland Rulings. One of the portions that was scheduled for that day was the motion to make all the Texas EquuSearch records available to the defense. Unfortunately, when setting the date for the hearing, defense attorney Cheney Mason did not confer with TES attorney Mark NeJame, who was unavailable for that date. The hearing for this issue was then scheduled for July 15. If you would like to review the content of this, read the article I posted on the topic. This motion is technically not a "second bite of the apple" since the Baez and Mason claim that it was impossible to review all the documents properly. Baez even stated in open Court during the May 6 budget hearing that he wanted all the names so that he could research all the volunteers. To date, we haven't heard Mark NeJame's side of the story, but it will be very interesting to listen to. Do you think Judge Perry will buy the defense's claims? Somehow, I don't think so. Linda Drane Burdick had stated that it had taken her about six hours to go over the forms and had found no more to flag. Also, I hope the judge puts an end to the whole issue for once and for all. In addition, we have Cheney Mason's odd comments about the searchers after his solo hearing on June 16 after the status hearing. ... the depositions where they searched and did not search, it turns out that they did not search the exact area where the body was found. ... the public has been made to believe that these people searched the exact area where the body was, or tried to, and couldn't. The fact is, they didn't try to, they didn't. They weren't there. It was impassable at the time. So, there's a lot of people who've mistaken what happened back in the summer of 2008, the winter of 2008. He then went on to discuss that the defense wants to establish reasonable doubt as to when the body was put there. This is the same story that we've heard for quite a while, that the body was placed in that location when Casey was in jail. Here's the problem with the "when Casey was in jail" part. Casey was in and out of jail between July 16, 2008 and October 14, 2009 when she was indicted by the grand jury. I would see that they would have a problem saying the body was put on Suburban drive after October 14, due to scientific evidence. Are they really going to try for a summer date when Casey was in and out of jail on bond? Mason went on to state that the defense would have to establish "who, how, and when". He also mentioned that various people had given different information about the condition of the area. He said that some stated that they couldn't search the area because it was under water. He also said that someone said the area wasn't under water. That's when Caylee was missing. We don't know when she disappeared. Listen HERE for yourself and see if what he says makes any sense to you! The second issue on the agenda will be the admissibility of Cindy Anthony's 911 calls. On March 8, 2010, the defense filed the Motion to Exclude Heresay, Evidence, Gossip and Innuendo. The motion was pretty much put on the back burner, the State replied on June 9 with a motion outlining the reasons that the calls should be admitted. As I discussed in this article, the prosecution does not want to have the calls admitted as an excited utterance, they want them admitted because they show the developing story Casey made as the evening wore on. Thanks to Richard Hornsby, we have a copy of the motion filed by Cheney Mason on June 22, Defense Reply to State Motion to Admit 911 Calls. In it, Mason goes through June 15, 2008 from Cindy Anthony's perspective to show that it was a "plan" of sorts based on her learning that the car was impounded and all the actions she took that day. He even mentioned that Cindy had explained her motivations for the call in the Good Morning America appearance. He also gave a very complicated explanation in the presser he gave, which is already linked above. "She's going to tell the truth," Conway said today. "She made the phone calls. It's factual. She's going to testify truthfully." Will she? That's why we'll all be watching. For more news, check out Calls for Justice, donchais has a new article up today. Michelle Blaine is back with her new blog Wall Of Guilt, about an old employer, convicted murderer Phil Spector. Today is the 234th anniversary of the United States Independence from Great Britian. Those of you who are celebrating today, stay safe, and Happy Fourth! As we all know, Jose Baez filed an Emergency Motion To Appoint Special Magistrate During Inspection Of Discovery With Expert Witnesses. In court yesterday, Baez began his argument for the Special Magistrate with the contents of his motion. Baez stated that a special magistrate was necessary to properly accomplish the defense's goal of being able to test, examine the evidence and discuss it. The special master would help accomplish the goal of maintaining the chain of custody. He also said that the presence of Sheriff's office personnel would hamper their ability to do a thorough job of examining, testing, and discussing the evidence. Baez also cited 3.220B. It doesn't lay out the meant to appoint a special master, but that there was a part that would allow the judge to appoint a special master since it outlines that the court has the right to state how the inspection would take place. Mindful of Perry's financial admonitions, he pointed out that this would be judicial economy since this proper and thorough examination and discussion would preclude having to bring the experts back for a second look. At this point, Judge Perry asked Baez to tell him what role he intended the special master to have. He asked a second question, which was whether the defense intended to test or inspect the evidence. There is a big difference between the two which Baez had slipped into his argument earlier. I think the role of the special master could be, the State and the defense could outline certain rules that must be adhered to during the inspection, and, the special master would be there to ensure that these rules are laid out and to assure that of course there could be no tampering of the evidence, there's no manipulation of it in any way, shape or form, and these types, and the pieces and articles of evidence that we wish to inspect, and I can lay that out for the court, is specifically those that were recovered or collected at the recovery site, where Caylee Marie Anthony's remains were found. That is the majority of what we are looking for. It's not, these are not items that, without proper handling or care, could not be inspected and not contaminated in any way, provided that it, it is done with proper procedures, as would be with any, any authorized member of the State. We are at a disadvantage with this, with this evidence, because we didn't collect it, although we asked to be present while it was collected, and were denied that right, we don't, we don't, quite frankly, we don't know what it may or may not show or if it has any relevance or value at all. But the nature of which, it's not contraband, it is not anything that is dangerous, there aren't any firearms involved or things like that, so, I think, with the narrow request that we've asked for, if both sides can work together, I don't believe it would be unreasonable. Okay, friends, read that answer carefully! What Baez could have said was that the special master (where did the term "special magistrate" go?) would observe the procedures and be sure that procedures agreed to by both sides would be followed. But no! Baez had to go on and on, stringing one piece of information after another concerning anything BUT the role of the special master. He had to go into the fact that the defense team gathered at Suburban Drive that December evening to watch from behind the crime scene tape was not permitted by Judge Strickland to step over the tape and take part in the original investigation. In fact, the judge even mentioned that motion in his Order when he recused himself last April 19. Perry then asked Baez if he had any criminal case law to back up his motion. 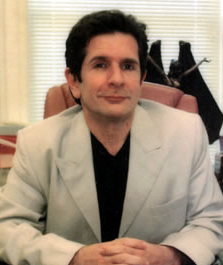 Baez said that he could not find any cases in Florida, but that co-counsel Linda Kenney-Baden had been able to do so in "multiple cases", including a case in California, The People of California vs. Phil Spector. Yes! He said it! He mentioned the Phil Spector case which was a big mistake! For those of us who followed the case with Sprocket here at T&T know full well that Dr. Henry Lee had gotten into major trouble for tampering with evidence! In fact, when he was to be called to the stand, Lee just happened to be in China and had not been subpoenaed by the defense before he left. Baez then went back to the fact that they had been denied the opportunity to inspect the evidence when it was collected. It pretty much sounded as though he should get special treatment because of that adverse Strickland ruling I cited above. At this point, Linda Drane Burdick spoke for the prosecution. She said that the State has no desire to restrict access to the evidence. She also said that Baez had only told her last Tuesday that the only dates available for the inspection were July 13 & 14, days when she and Aston were to be in Tennessee doing depositions with the Oak Ridge Labs scientists. She then went into detail about her contact with the Sheriff's Office (which had not been noticed about the hearing) as to how the inspection could take place. Her concern came from the fact that on Wednesday, Baez had told her he wanted to be alone with the evidence so he could converse with the experts. She said that the Sheriff's office could arrange a separate room for conversation. Drane Burdick also mentioned that the only area available for the number of people Baez wanted to bring (assuming some of the interns working on the case would be there as well), was the entry bay at the evidence section, which is not air conditioned. She also indicated that where Baez had previously viewed evidence was not the same location where the evidence was stored. She indicated that the evidence was too voluminous for it all to be transported and viewed there. She also had questions about the equipment that would be available, the space is not air conditioned, there are time restrictions. She had asked Baez what he wanted to look at and he had said "everything". She thought that the list could be narrowed down. She asked for a list of items and the order he would inspect them. She told him she would come in the following week to go over the evidence he wanted, even though she will be on annual leave. Ms. Drane Burdick then brought up how the inspection would take place. She stated that she had gone "round-and-round" with Baez about the procedures and safety precautions (gloves, hairnets, craft paper, how the evidence is opened). Apparently these simple issues had not been resolved and she was unsure if two days would be enough time to examine every single piece of evidence. She was willing to fashion whatever remedy would work for both parties. Apparently, in the past, any efforts by the State to assist in getting evidence to their experts was turned down. Judge Perry then took his turn, pointing out that there seemed to be a lack of trust and confidence between both sides. Linda Drane Burdick indicated there was nothing she wanted to say in open court. THEN, she mentioned the 700 pound gorilla seated in the room, Henry Lee. She pointed out that a member of the defense team had accused him of "some sort of tampering with the evidence". Baez' only response was to mention that the OCSO had hired Dr. Lee to train some of their members. Judge Perry asked the defense if they wanted to waive the chain of custody? We all know how important chain of custody is. In this case, had Baez wanted to do whatever he wanted to do with the evidence, he could have answered "yes". Of course, he said "no" which pretty much sank his motion for the judge. From what Drane Burdick had stated, the defense did not want to talk about the fine details of how the inspection should take place. If you go back up to the quote from Baez I posted here, you will see that he had no suggestions as to how the special master would deal with the chain of custody, nor did he state what procedures would be followed. All he said was that the defense was "gypped" out of a chance to view the evidence as it was collected and he wanted to do what he wanted to do how he wanted to do it. Baez closed his argument with his main points. The videotaping of the session was OUTRAGEOUS! He mentioned that his client couldn't even buy a bra without it being made public (don't know how that fits in here.) 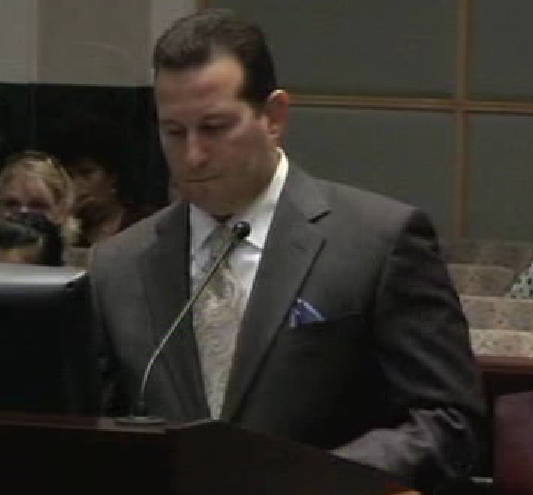 Baez then asked for a sidebar and came back to indicate he can work it out with counsel to make it feasible. If there were to be any objection, then they all could meet with the judge. Baez said that his client had absolutely no privacy in any aspect of the case. At this point in the hearing, Judge Perry resolved the issue for both parties. He first said that he and his people had searched the case law and had found none to support the motion. He also said that while this case was different, it is like hundreds of others. He that the court has no control over what the news media considers newsworthy. He said that under the rules of discovery and the 6th Amendment, the defense has a right to examine the evidence. He then set out how it would be done. 1. The evidence will be moved to air-conditioned facilities. 2. There will be a separate room for discussion. 3. Since the defense refuses to waive chain of custody which must be maintained in court by prosecution, officers from the Sheriff's Office will be present. 4. The examination will be videotaped (without sound) and (after an objection by Baez), will be redacted to show the opening of the evidence, the inspection of the evidence, and the sealing of the evidence. 5. The defense has until July 8 to provide a list of the evidence they want to examine. 6. During the days the examinations will take place, he will have someone available to take calls if he is needed to make a decision. That was the end of the agenda for the hearing. Judge Perry, being the polite jurist he is, then asked the attorneys present if there was anything else. Judge Perry asked Baez if he had filed a motion for sanctions. Baez briefly started to talk about the previous motion (which was denied) and then simply says "no". At this point, Judge Perry gave what will go down in this case's history, the "Mr. Baez, bear in mind..." . Over and over, he started his statements, "bear in mind..." and went on to indicate that he had worked long hours and was very tired and wasn't appreciative of having to hold this hearing in the first place. I'm supposing that Baez didn't get the idea and rattled on. Strict deadlines, MY CLIENT AS SHE SITS HERE TODAY IS INNOCENT, she's under lockdown 23 hours a day, she can't see her family, can't communicate with them (we've learned otherwise). Perry gave Baez the simple way to deal with the situation. File a Federal Suit against the OCSO claiming cruel and unusual punishment. He then mentions that there have LEGIONS such cases and they haven't prevailed! Inmates have no privacy! Judge Perry pointed out that, at the last hearing, he had instructed the prosecution to go to the Sheriff's Office and find all material they had not received. He wanted for this situation not to happen further down the road. (Apparently, that's when the prosecution got all this information.) 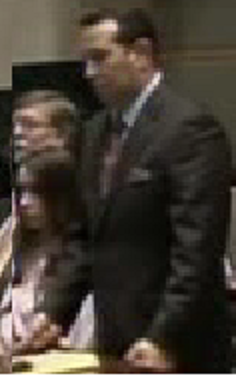 He also reminds the Florida public records act. IF Baez knew that the prosecution had these records earlier and was sand-bagging them, then he should file his motion. Summarizing, Perry said that he wanted to see a fair trial for both sides of the case. When he asked if there was anything else he had to say about the issue, Baez wisely said "no". Finally, Linda Drane Burdick mentioned that the tips were available and were $2,260, $260 over budget. Baez whined a bit and said that Drane Burdick had only told him today, and Drane Burdick quickly agreed. He also asked the judge to grand an immediate order for the overage and the judge told him to follow proper procedures. He could pick up the documents and the Sheriff's office would have to wait to be paid. Then, the judge went on to another hearing, the "Hawthorn matter." Casey Anthony Murder Trial: EMERGENCY HEARING TOMORROW! It has just been announced that an emergency hearing will be held tomorrow, July 2 at 1:30 PM. Casey Anthony's defense team wants the judge to appoint a magistrate to oversee expert witness inspection of evidence in the case. The defense filed the emergency motion Thursday and Judge Belvin Perry scheduled a hearing for 1:30 p.m. Friday. The defense said it is flying in a team from across the county to inspect documents and evidence in the murder case which are in the possession of the Orange County Sheriff's Office. "Counsel believes that allowing the officials from the Sheriff's Office to be present while counsel and expert witnesses inspect the items of evidence would unfairly subject statements made between counsel and the expert witnesses to discovery, creating an unfair prejudice against the defendant in her preparation for trial," the motion said. The defense wants the inspection to take place on July 13 and 14. 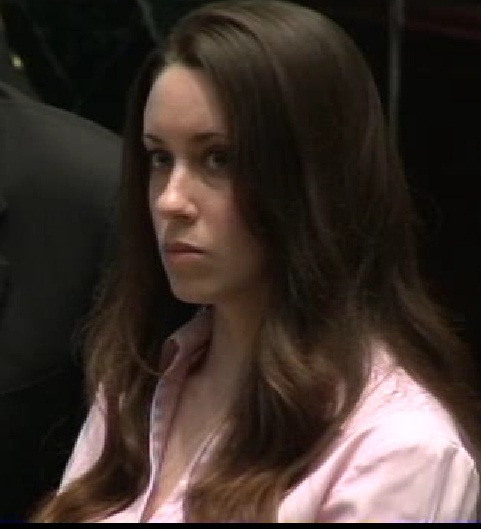 Casey Anthony will be attending the hearing.